A few of my favorite things in the world just happen to be Elvis, BMWs, and 3D technology. The order could be re-arranged depending on mood—and I’m quite certain I’m not alone in this either. But what a wonderful day it is when they all manage to come together as a superior combination. While the King is only here in spirit today, were he alive (no conspiracy theories, please) it’s fun to think that he would have replaced his room full of TVs at Graceland with a 3D printing lab, enjoying the ability to make big belt buckles and even futuristic designs galore. And certainly there is no doubt that he would be pleased to hear that this technology was also responsible for resurrecting the BMW 507 of his youth. A model few know about and even fewer have ever seen, this particular driving machine’s true ownership could have disappeared forever had the search not been on by both BMW Group Classic Archives and American journalist Jackie Jouret, of Bimmer Magazine. Elvis purchased this car in 1958 while in Germany for a nominal sum even then at $3,750. With the original color in white, it was said to have been painted red not too long after as Presley was annoyed and embarrassed by the young German girls leaving their lipsticked red kisses all over it. Although some of the details get hazy and there are some questions as to what the real story was with the car or with the paint—and more—it would seem that after nearly 50 years and some time being abused on the racetrack and as a test-driving vehicle for the press, the car was found in the ownership of space engineer Jack Castor, who actually purchased the car back in 1968. A car collector, he used the 507 to drive around town off and on and then relegated it to storage as he did have plans to restore it eventually. In the end, that task was up to BMW, as while Jack eventually became caught up in the excitement regarding Elvis, he did not ever begin refurbishing the 507 although he had many parts collected, and ready for use one day. It would appear that BMW went straight to work on buying that car from Castor. Eventually, they did strike a bargain and it went back to its original roots with the Bavarian manufacturer, under the agreement that it would be restored as Castor had meant for it to be. A true prize, certainly he knew they would uphold their end of the agreement as it was shipped by container to Germany. He died in 2014, never able to see the final results. It was to be a rather long journey for the car, from the discovery with Castor, to the return to BMW, to an extensive restoration project. 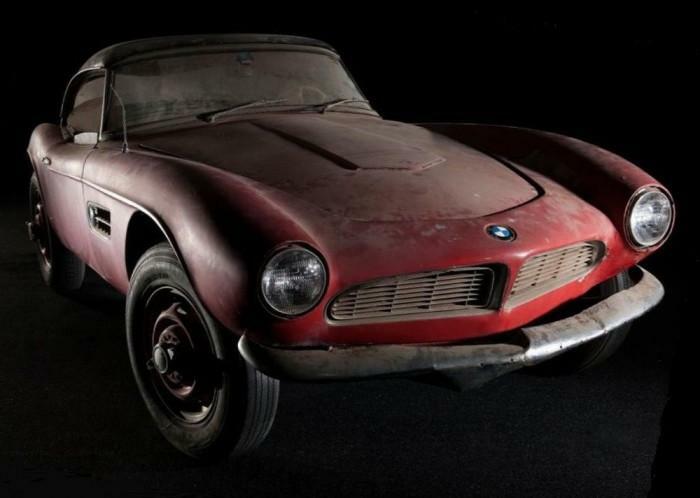 Shipped to Germany, the car was then exhibited for some time at the BMW Museum in Munich, titled ‘Elvis’ BMW 507 – Lost and Found.’ After that, it was time for the team to hunker down and get to work at the BMW Group Classic Workshop. Plenty of work took plenty more time than they’d imagined, from taking it completely apart to removing the engine, the dilapidated interior, and even the muted red paint. With this amount of time having passed, obviously many parts for a 507 are now obsolete. This is where resourcefulness on the part of the BMW team came in—along with 3D printing, as bringing parts out of obsolescence is one of the technology’s greatest benefits. Numerous parts were simply re-made (and obviously most cars would not get this treatment), with tradition meeting high-tech. From the instrument panel to the leather, BMW worked tirelessly to make a complete and identical reproduction. The 3.2 litre V8 was to be reconstructed with spare parts, and the Feather White paint was newly applied, using methods that would have been used when it was originally made. This put an end to a two-year project, and surely there were many who felt extremely privileged to play a part. It’s quite a story, appropriate to the legend of Elvis Presley and his well-known love for cars. Others who share a passion for both Elvis and rare cars can see the BMW 507 on August 21, 2016 at the Concours d’Elegance in Pebble Beach, California. Many certainly will enjoy checking out the unveiling of the new paint job, the engine, the tires, interior, and even the authentic Becker Mexico radio. Certainly as Presley’s sportscar makes it way back to the US in beautiful condition, fans will have great interest and a range of emotions at seeing the results of such an extensive, unique project. Are you interested in seeing the results of all BMW Classic’s hard work? Discuss further over in the 3D Printing Helps Restore Elvis’ BMW 507 forum at 3DPB.com. Stay up-to-date on all the latest news from the 3D printing industry and receive information and offers from third party vendors. – What is 3D Printing? Anything Related to the 3D Printing Industry which doesn't belong in the our other folders goes here. 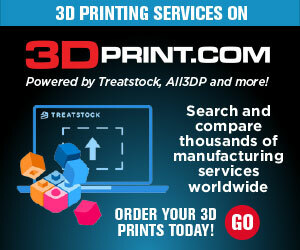 Discuss the various 3D Printers on the Market. Please make sure there isn't already a folder for the printer you wish to discuss in our Specific 3D Printer Folders. Discussion related to 3D Printer parts, such as hot ends, extruders, and anything else you may want to discuss related to printer parts, as well as filament, resin, and sintering powder. Copyright © 2019. 3DR Holdings, LLC, All Rights Reserved. 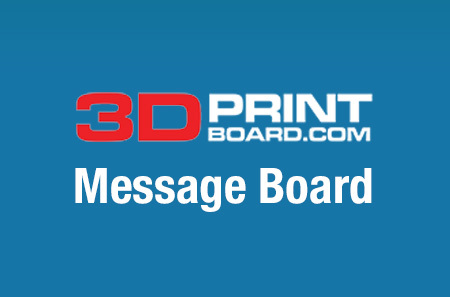 Join our mailing list to receive the latest news and updates from our 3DPrint.com.